When Familiar finds himself in Egypt, he’s looking for a vacation, not another mystery. But he gets a double whammy when he sees a man stalking anthropologist Beth Bradshaw in the Cairo airport. Beth is on the trial of a lost city where women ruled, but there’s a lot more at stack than artifacts, and handsome Omar Dukan must keep the secrets of the desert. 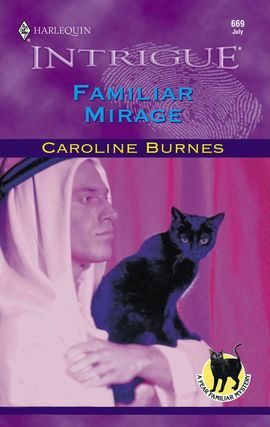 Once Beth’s troubles are put to rest and she finds solace in the arms of her desert sheik, Beth’s adopted sister arrives for the second book, FAMILIAR OASIS.